World-class. If ever there’s a word to describe Lito Genilo and his brand of wedding photography, it’s “world-class.” And it’s not just an opinion; it’s a FACT. Awards after awards, accolades upon accolades, Lito Genilo, owner of Smart Shot Studio, has garnered for almost every year since 1994. These are but testaments to the great artistry and passion this wedding photographer puts in every photo he takes. He treats these wedding photos with the respect and care they deserve. After all, wedding photography is his bread-and-butter. Yet, photography is more than that. Photography is his life. How did the well-known wedding photographer come to be? Unfortunately, not so much has been written about the man’s background prior to fame. It seems that for him, his art is the more important aspect in his life. We do know that he used to be a seminarian, a time when he was introduced to photography. His love affair with it, though, begun when he was a young boy who clicked away with a camera given him. That was 20 years ago. According to Smart Shot studio’s website, ”It seemed harmless enough, but what he saw – the beauty and business potential of preserving memories through pictures – inspired him to put up Smart Shot Studio in December 1995.” And now, he has one of the most reputable names in the Philippine wedding photography industry. And he earned it through sheer hard work, touches of resourcefulness and unquestionable passion for the visual art. This passion is evident in the various recognitions he has received through the years. Most recent of which were from last year’s Wedding and Portrait Photographers International (WPPI) 2010 competition held in Culver City, Canada where some of his works won awards and accolades. Almost every year, Lito never fails to bring home the bacon. His credentials say it all. However, his wedding photos prove the greatness of the man behind the lenses. “Today, he is a much sought-after wedding photographer. He takes an unobtrusive and relaxed approach to wedding photography, and his images capture the unique spirit and moments. His wedding portraits express a calm appeal – the bride and groom flush their smiles naturally and spontaneously. He eschews the contrivances where the newly weds pose stiffly with feigned expressions. He knows how to get great pictures while letting the bridal couple enjoy their wedding day. Thus, he uses various shooting techniques from formal and posed to journalistic and candid” (Smart Shot Studio website). Indeed, the wedding photos that he takes are enough to convince clients to commission his services. In fact, his wedding studio does an average of 500 projects annually. 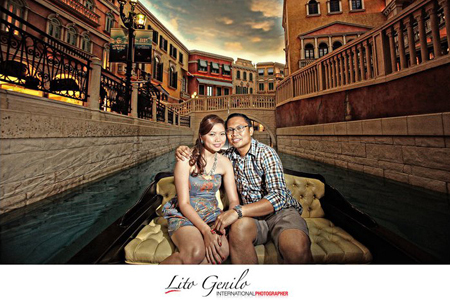 Lito’s reputation has also traveled far and wide that soon-to-wed couples, particularly Filipinos and those of Filipino descent, ask him to be their official wedding photographer. Lito has often obliged. In fact, he has been to the United States and Canada numerous times, doing what he loves and bringing his art to the world. 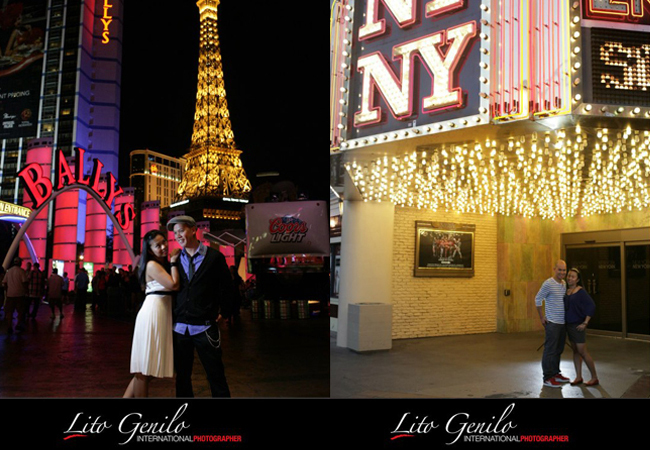 The number of wedding coverages in the Philippines prompted Lito to set up a separate Smart Shot Studio in California. This has made it easier for him and his team to accommodate more wedding coverages abroad. Lito is so in demand that as of this writing, he has posted an announcement on his blog a schedule of his tour abroad, encouraging interested soon-to-wed couples to book an appointment early so he and his team could be on location especially on their wedding day. By comparison, it is easier to do wedding photoshoots abroad, according to Lito. There are less restrictions and one can take pictures almost anywhere, unlike in the Philippines. But it is always important for him to familiarize himself with the locations to be able to come up with better and innovative ideas. He does research to find out what are the famous sites, destinations and establishments. Lito’s works have always won the hearts of many with their natural ‘air’. It’s not exactly just the poses that matter, but how to bring out the love the bride and groom have for each other. But this only works when the couple and their wedding photographer are comfortable during a shoot. That is why he advises that soon-to-weds must have a pre-nuptial or engagement pictorial. That way, the couple and their wedding photographer can get to know each other better and be comfortable. This also a way for the wedding photographer to gauge which poses will work and which will not. Wise pieces of advice, indeed. And coming from renowned, world-class wedding photographer Lito Genilo, it only proves just how deserving he is to be called a true artist.